Are your email signup rates on mobile devices desperately low? Chances are your mobile lead generation is not optimized enough to boost conversions. Mobile now represents nearly 70 percent of digital media time, so if you don’t optimize your lead generation strategy for mobile audiences, you’ll fall behind. In this article, we’ll show you how to optimize your lead generation for mobile devices. It goes without saying that in order to optimize your lead generation for mobile devices, you’ll need to make your form responsive. Responsive forms perfectly adapt to the screen of your visitors regardless of its resolution. That means responsive forms will always look good whether your visitors are on a desktop, laptop, tablet or a smartphone. If you’re a WPForms user, you don’t have to worry, since all forms you create with WPForms are responsive, mobile-friendly. 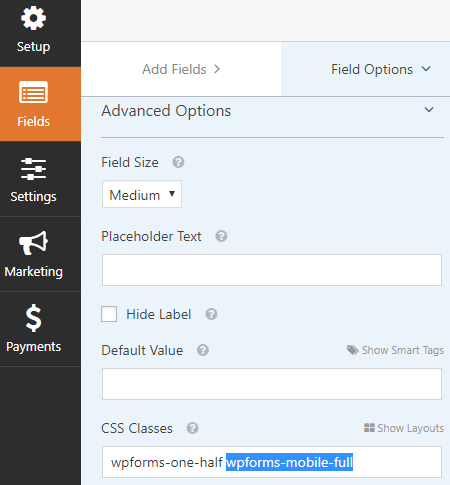 Plus, WPForms makes it easy to create a mobile lead generation form on your WordPress site. 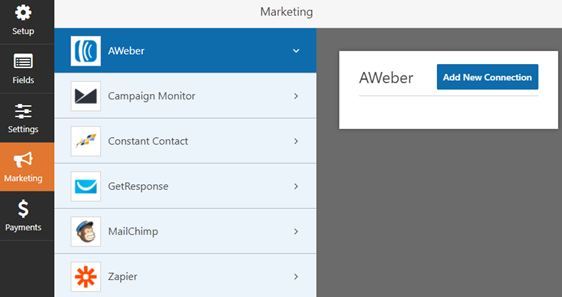 You can easily integrate your form with your favorite lead generation tools including AWeber, MailChimp, GetResponse, Constant Contact, Campaign Monitor, and Drip. It may be difficult for mobile visitors to navigate through fields on multiple columns since they’ll have to scroll horizontally to see the whole form. So it is highly recommended not to use multi-column layout for mobile devices. Now, the challenge is that you might want to use a multi-column layout for desktops especially when you’re using a longer form. Multi-column layout helps you to reduce the overall height of your form and make it look shorter, resulting in boosting conversions on desktops. With WPForms, you can use multi-column layout for desktops while turning it into single column only to your mobile users. To turn your multi-column form into single column only to your mobile users, the only thing you need to do is to add a CSS class wpforms-mobile-full to the CSS Classes field under Advanced Options. For more details, you can read how to create a responsive contact form with multiple columns. Tracking your form conversions is essential as it shows you what works best for your mobile audience. 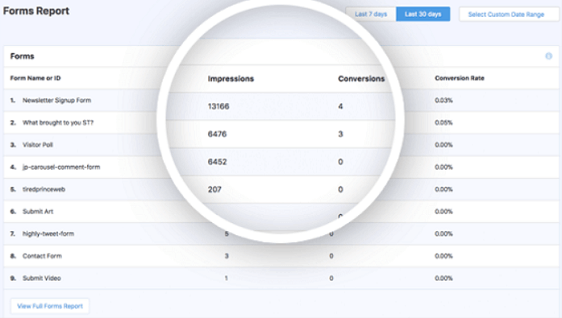 The easy way to track your WordPress form conversions is by using MonsterInsights. MonsterInsights is the best Google Analytics plugin that easily sets up Google Analytics on your site. With its Forms addon, you can enable tracking of your form views, submissions, and conversions rates. 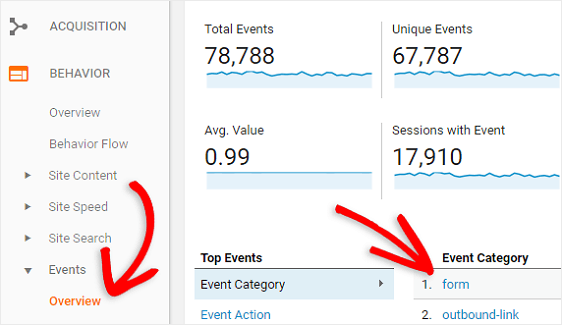 In your Google Analytics account, you can compare the conversion rates of mobile and desktop audiences and analyze what works best for them. For example, if you find that your mobile conversions are too low compared to desktop, you might want to optimize your page for mobile visitors. You may not realize this, but mobile devices, especially small ones like smartphones, don’t always have the ability to hover over site elements to reveal additional content, information, or even your site’s form itself. After all, they don’t have a mouse to help navigate the desktop version of your website. To avoid this problem, frustration with site visitors, and form abandonment, make sure all elements on your website, especially those that have to do with your site’s forms, are clickable. It’s important you think about how your form’s calls to action buttons will look on tiny devices. The CTA is a bold color, very clear, and encourages the site visitor to take action. Not to mention, it’s large enough for anyone to easily click, reducing frustration and increasing form conversions. 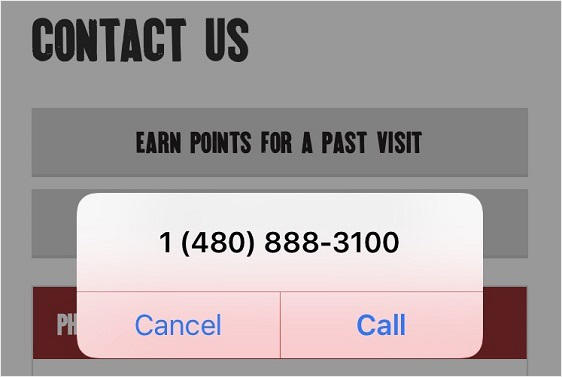 Adding your phone number as an alternative call to action (CTA) is one of the best ways to make your visitors engaged with your site. By adding your phone number as the CTA, you can offer a convenient way for your visitors to connect with you. Make sure that your phone number is clickable so that your visitors can quickly make a call with you. Making your phone numbers clickable is easy. All you need to do is to add a single line of code like this. Be sure to change the phone number in the above snippet with your number. PF Chang’s makes getting in touch via phone for things like reservations really easy for those on the go that need to talk to someone in person. Using a long form isn’t recommended if you want to boost signup rates. This is especially true when it comes to mobile conversions. That said, in some cases, you might want to use a long form, like when you’re trying to drive highly qualified leads rather than just collecting large quantities of form submissions. If that’s the case, saving partial entries from your form is essential and can be done using the WPForms’ Forms Abandonment addon. The Forms Abandonment addon allows you to generate more leads by saving partial entries and then following up with those interested prospects, even if they didn’t complete the entire form. Learn more about saving partial entries with WPForms. Do you still want to know some things you can do to generate more mobile leads? And there you have it! You now know how to optimize your WordPress forms for mobile lead generation. For more tips, see our article on research-based tips to improve your form conversions.